What is Istria and where is it? Istria (don’t confuse with Austria!) 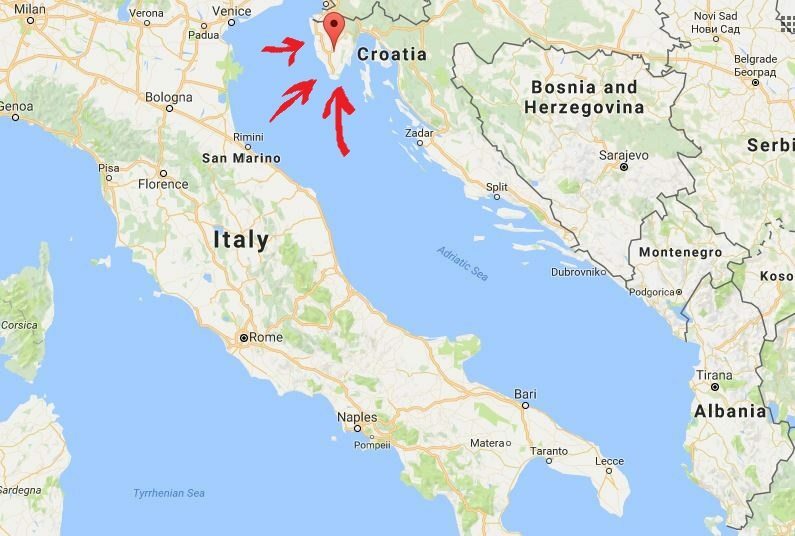 is a peninsula in Croatia located close to Italy. How oh how is it possible to fit enough interesting things in a 80 km. strip of coastline? But I was wrong and I publicly apologize, my dear Istria! Rolling hills, crystal clear Adriatic Sea, charming medieval towns, tasty delicacies, extreme activities – I felt like not even a couple of months, wouldn’t be enough to fully discover the region! Would you like to stroll through wineries, hills, palm trees, and the seaside, all in the same place? The perfect blend of all these, without even having to drive more than 20 minutes – that is what made me fall in love with Istria! If olive groves sharing the landscape with palm trees and the sea on the background is your idea of paradise, Istria is your ideal choice. 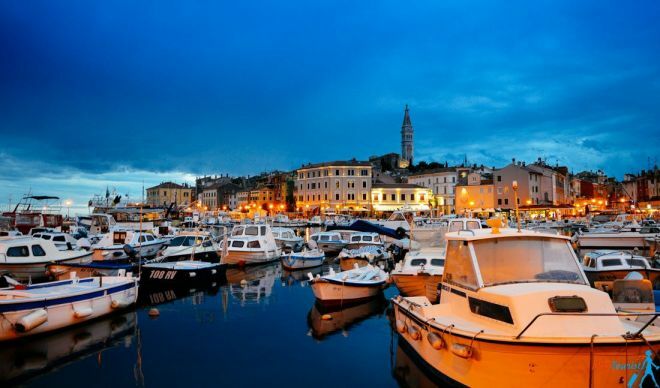 It is a perfect honeymoon destination (especially for towns like Rovinj), family vacation, party place, adventure vacations – all in one! Even if I am not a food blogger, oh-my-God, I instantly wanted to become one trying all those delicious dishes! 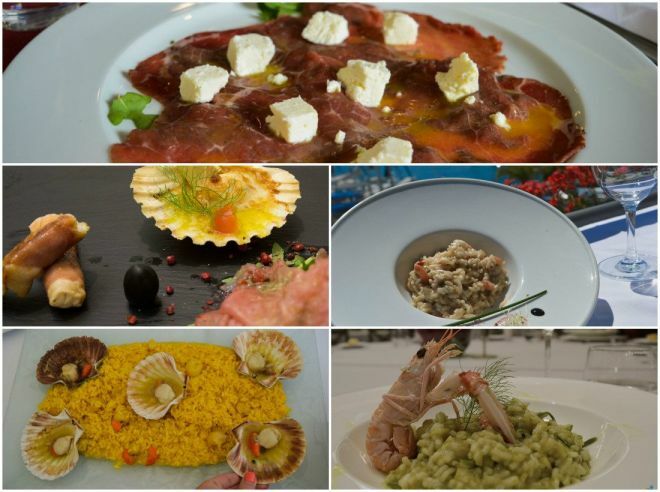 Sea food especially is amazing in Istria, don’t miss your chance to try its different variations. That is what I ate all week long while there! If you are on a diet, you can forget about it in Istria! It is impossible to say “No” to all the delicacies of the region. You can see the more detailed post with restaurants recommendations by town in this post. Did you know that sometimes Istria is referred as unspoiled Tuscany? 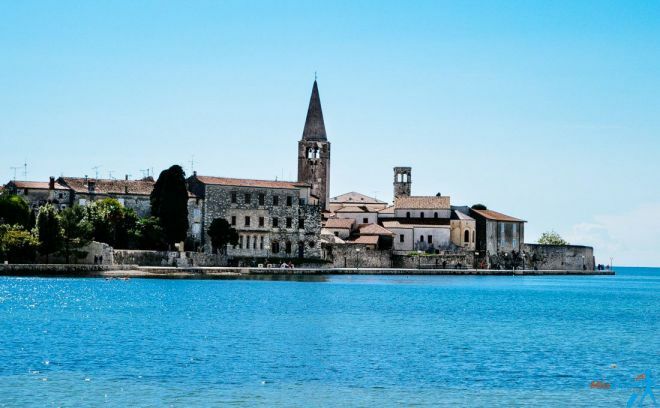 Being just 2 hours away by boat from Venice, Istria has an identical landscape to Tuscany. While the tourism is vastly growing in Croatia now, it is far from what they have there in Italy. Because of the Italian “Dolce vita” and the abundance of tourist, the service in Italy might not always be great. As I have been living in Rome for 2 years, I have a firsthand experience and I know how often things can go wrong there (Rome remains my favorite city on Earth despite all that though! I love you, Rome!!). 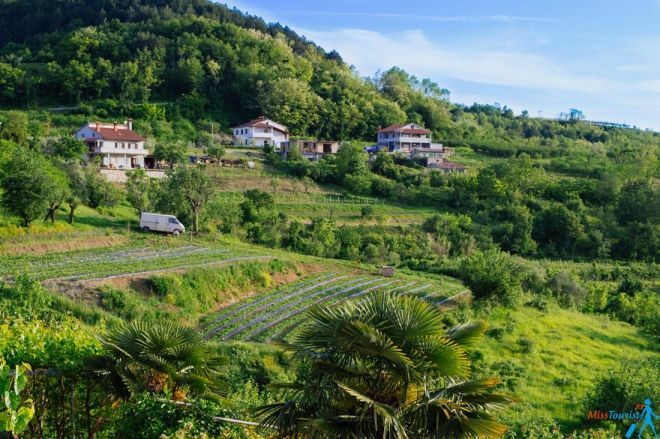 In case of Istria (and Croatia in general), the locals tend to be more client oriented because of the different mentality, and, thus, the hospitality is unspoiled there. 4. Wine tasting in Istria! 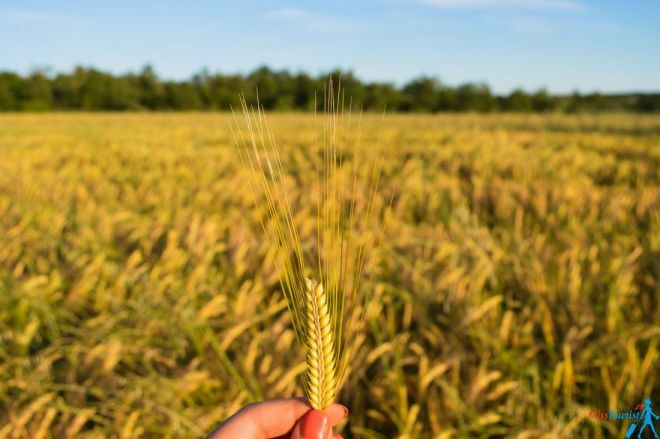 “Živjeli” (cheers in Croatian) – remember this word, you will use it a lot in Istria! 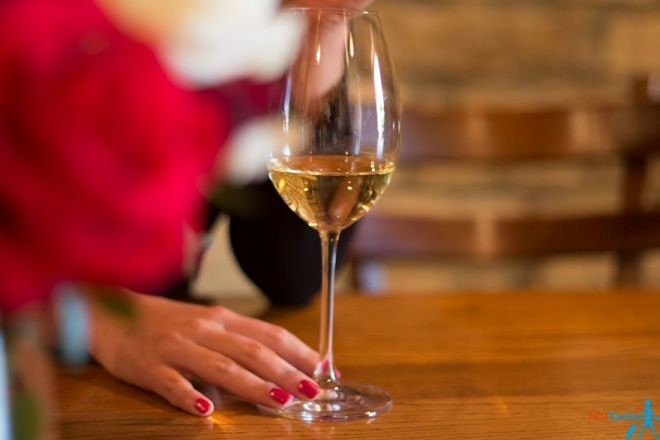 I love wine, I have done wine tasting in places like Bordeaux, in Chile and I can certainly say that the quality of Istrian wine is not lower! Inland Istria is blessed by fertile land– you will see countless beautiful vineyards here and there, everywhere! The fact that the Istrian region was forgotten during the Yugoslavian war is partly an advantage now. Why? The soil was not exhausted by fertilizers as it was pretty much abandoned during the war, and now they can produce amazing quality organic wine there! If you are an adventure seeker, you could not have chosen a better place for your vacation! While I like to stay on the beach with a beautiful view sipping a cocktail, I easily get bored of this. Combining the lazy and the fun – that is my perfect type of holiday! 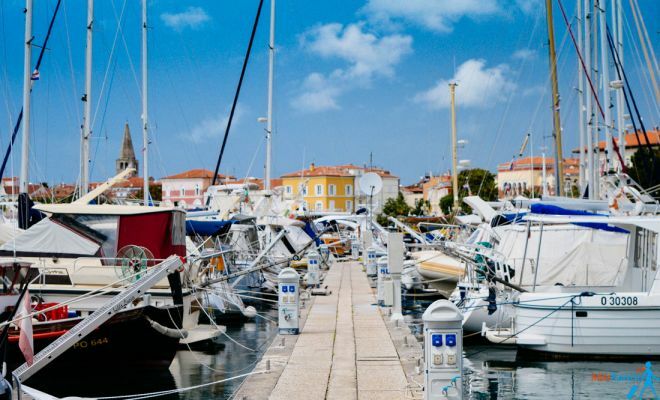 When in Istria – the only problem is to choose from all of the choices of fun activities. 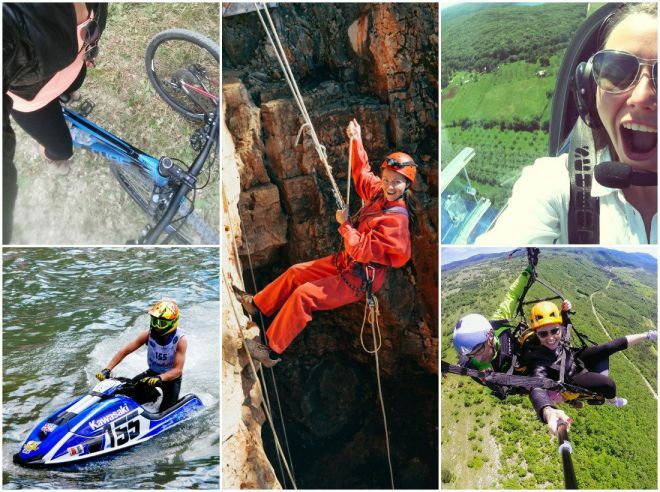 You can hike in the National park, go biking around abandoned railway station, paraglide in Motovun, rappel in caves and even take a small plane (the viper flight) around the the coast to catch some unforgettable views! Which one would you choose? Or maybe all of them? Prices and contacts about each activity is in this post. 6. The most virgin olive oil in the world! Or that’s how they presented it to me :). “You have to eat soup every day to be healthy”. Again, because of the organic soil, it has this exceptional aroma of fresh grass and olives that makes the taste truly unique. Mmm, I loved it that much that I bought a bottle to bring back home to Paris! Istria is located on the most northern latitude where olives still grow and that is what makes the taste exceptionally soft and virgin. No jokes, try it by yourself! 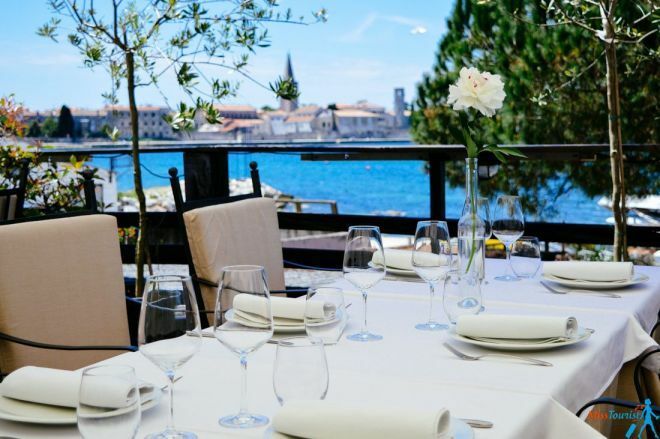 Istria is world famous for being the largest supplier of black truffles. I bet you did not know that, did you? Truffles are rare, it is not that easy to find them, so you need to go hunting them with a specially trained dog (or pigs!). You can scavenge for truffles in the Motovun or Umag forest, the season is from October to early November. It can be interesting to go see the procedure, who knows, maybe you will be lucky to find one? If you are lazy to search for one, go to the Zigante restaurant. That is where EVERYTHING is made with truffles. More of my experience in the restaurant here. The owner of the restaurant found the biggest white truffle in the world (it is in Guiness book!). Instead of selling it (worth about 5 000 EUR! ), he thew a huge party for the whole town! I would be lying if I would tell you that Istria has no tourists. On the opposite, they are many! You won’t find Balkan prices in Istria, but it is still a bargain comparing it to Western Europe. The quality you get for your money is great, especially if you book your trip in advance. I found Istria to be much cheaper than the Dalmatian coast and definitely cheaper for what you would pay in Italy. Authenticity unspoiled by crowds of tourists. All these make it an ideal destination for any type of vacation. I didn’t even get to discover all of it yet! I have spent 10 day in the region in total, doing different things every day, and it is just incredible how there are still many things to visit. I will definitely come back as soon as I can! P.S. I am actually a huge fan of Croatia and I have written a couple of posts about the places that I liked the most! Other MUST visits in the country are Split and the Plitvice lakes. 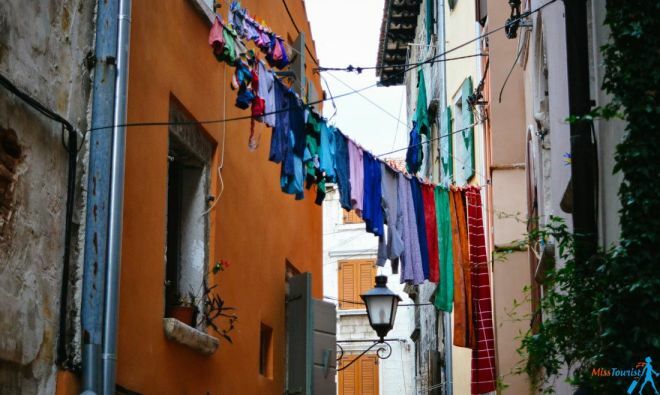 NEW POST: 8 Charming towns in Istria you should visit! Thanks so much for reading this article, if you liked it, please share! 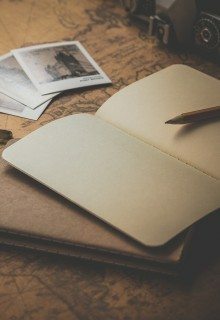 Any questions – just write them down here in the comments, I will reply ASAP! 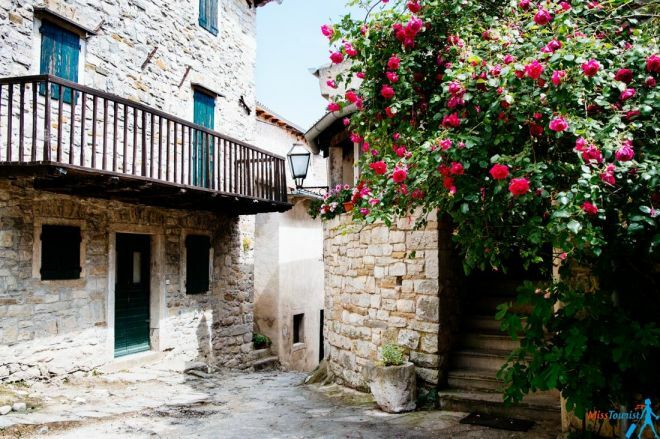 8 charming towns in Istria you should visit! 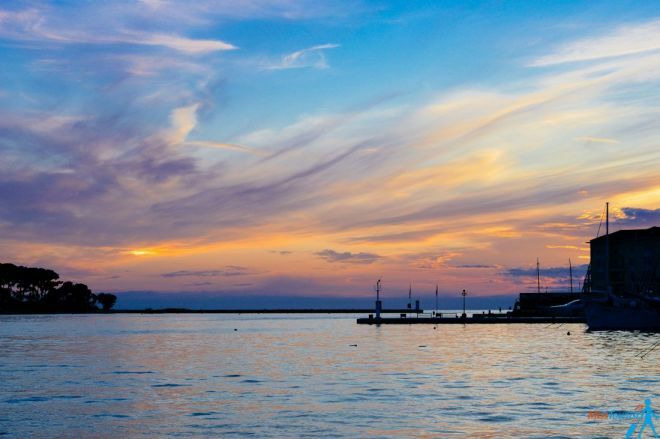 Thanks for sharing your experience How did Istria become on your radar? I’ve never heard of Istria before reading your article. P.S. Awesome website, truly inspiring! Hello and thanks so much for commenting! I know, it is interesting how Venice in Italy just 2 hours away is overpopulated, but people hardly ever heard about Istria that is definitely not less beautiful! I find Istria very comforting. Thanks for the recommendation but Dubrovnik is my favorite destination so far. Great article. I spent a week there, based in Pula but did trips to Rovinj and Poreč – where I had the most incredible pizza of my whole life, to back up your ‘Tuscan’ theme! Sadly, no boats were running to the Brijuni Islands when I went. For outdoor enthusiasts and fitness fiends, there’s a disused narrow gauge railway line that’s been converted into a path for walkers and cyclists, called the Parenzana. Some details here – if posting links is allowed? It’s been great reading your blog. Hi Fagun, happy you found it useful! First of all, you should definitely read this post – https://misstourist.com/8-charming-towns-istria-croatia-visit/, I am sure it will give you some new ideas on what to do in Istria. I went to a wine tasting there to a lovely place called http://www.benvenutivina.com/en/vina.html, it was really not touristy and the town is super nice! Thanks for all your advises. I love your blog! This year we would like to go there, but we are not sure if this place is suitable for a 1.5 year old child. I am worried that the beaches will be steep and rocky. 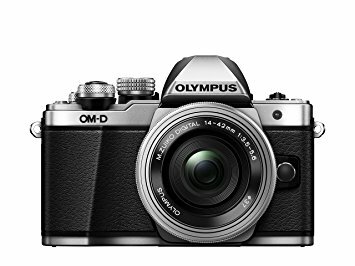 Can you recommend any places / beaches for families with children? I agree that beaches like Punta Kamenjak could be dangerous for kids, but Istria is still a safe place where you could go with your little one if you don’t mind the little pebbles (gravel) beaches. Some examples of this kind of beaches are: Fazana Beach, Njive Beach (this one has a rocky part but also a gravel part), Four Elements Beach (same), Plomin Luka (small gravel), Sandstrande (normal sand! ).